The ruins of Daniel Shays's fortified settlement reveal the hidden story of the famous rebellion. 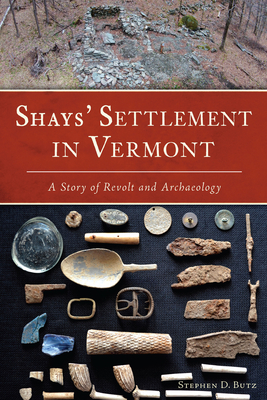 Shays and the Regulators founded the settlement deep in the Vermont wilderness after fleeing the uprising they led in 1787 in Massachusetts. Rediscovered in 1997 and under study since 2013, these remnants divulge secrets of Shays's life that previously remained unknown, including his connection to Millard Filmore and the Anti-Federalist lawyer John Bay. As the leader of the site's first formal study, Stephen D. Butz weaves together the tale of the archaeological investigation, along with Shays's heroic life in the Continental army, his role in the infamous rebellion that bears his name and his influence on American law.